Chicago is one of the best places to enjoy kayaking no matter your skill level. There is a great variety of waters from rapids to calm drifts to ensure your skills are honed and polished. With a range of activities like themed tours and even firework watching, kayaking is much more than a navigation exercise on water but a Chicago experience worth indulgence. With a wide range of water bodies like the Chicago River, Calumet River, the massive Lake Michigan and links to the Great Lakes watersheds and the connecting Portage to Mississippi, Chicago is a prime kayaking location; let’s have a look! The 6 Best Places to Go Kayaking in Chicago! Chicago is home to some of the most impressive ironwork bridges and with a brilliant view and rich history, a kayak trip through the town’s heart is sure to capture the imagination. A trip under the sky, around the skyline and along the waters is one of the best kayak tours around. With the downtown waterways often busy, the skill level needed may require you to maneuver around traffic but the waters are at a tranquil speed. Kayaking on the Downtown Chicago River is a trip through history, a scenic cruise taking in the buildings and bridges and a change of scenery for forest kayakers. Kayaking 101 has found a home in Chicago. 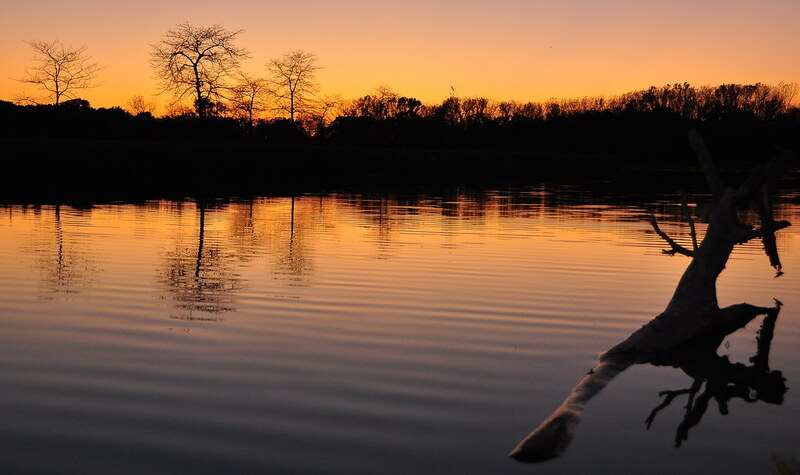 The varied lagoons available in Skokie allow for kayakers of all levels to come and enjoy an open water, nature filled smooth kayak experience. The presence of bugs and various insects implores kayakers to bring bug repellent whether in spray, lotion or jelly form.The numerous launching points are ideal for kayakers to bring their own boats and learn the ropes. It is a great family spot for bringing younger ones along to take in the sights and relax the mind. This section of the Chicago River is a kayaking favorite and a trail through nature. While it sounds a lot like the famous clock at the royal palace in the United Kingdom, Big Ben has nowhere as much kayaking potential as the Big Bend Lake. This spot is truly a great spot with plenty of variations in trajectory and linear direction for a great kayaking journey.The presence of plenty of vegetation and animals coupled with the clear waters, no doubt helped by a lack of exposure to mankind’s pollution, make it a pristine location for kayaking. The current picks up towards the tributary into the Des Plaines River. One of the most common areas for volunteer activity including the Bird Conservatory and Chicago Wilderness Calling Frog Survey, Busse Woods is a wildlife rich area ripe for kayaking. The open waters and tiny island pockets make for great intimacy with the wildlife in the water and company with folks. It is slightly removed from the town area and is perfect for a getaway kayak. The algae blooms pose a risk in the summer but depth maps are posted for the safety of kayakers. The winds can get strong but it is generally a place with calmly flowing waters and plenty of company; wildlife and people alike. One of the most scenic kayak trips in Chicago include the Navy Pier descent into Lake Michigan for the fireworks display. The waters are great and friendly but the presence of an exhibition of fireworks really spices up this tour. Some tours can start with the Chicago Downtown tour leading into this iconic display. This twilight tour is ideal for romantic kayakers and those night owls who wish to take in the waters, the city, and drinks for fun as well. It is a kid friendly kayaking experience with a flair fit for the nightlife chasing party animals. A route considered challenging and indulgent, the Des Plaines River offers kayakers of great experience and repute a chance to put their skills to the test. With woods a plenty, meanders and descents into Lake Euclid and River Woods, this route is sure to bring the best out of kayakers. Descending into Belmont requires plenty of flexibility, direction and navigation skills that can unlock a magical kayaking experience. Taking in the sights might be a bit difficult but with a rush of adrenaline, the trip is worth every paddle and a credit to Chicago’s water activity catalogue. The best places to go kayaking in Chicago are not limited to the list above. This depends largely on the skill level, the desired view, the purpose of the kayaking trip, and even the budget with Chicago home to a wide variety of kayaking experiences. Don’t take my word for it, find your own Chicago kayak haven.